Ultimate Science of Success from Shiva! Breathing is an important aspect and function of the physical body. Breath carries the most vital aspect of life that is prana. Prana is the connection between mind, body and consciousness. Most of the people are aware of the long list of benefits Pranayama & various controlled breathing process offer for one’s physical and mental well-being. For any spiritual aspirant the breath is tool and a vehicle for attaining the ultimate goal—Self Realization. Swar Yog moves beyond all this. It offers a deeper insight into the rhythms of breath and its Tattvic quality. Swar Yog utilizes the different cycles of the Elements (tattvas) in the body for mental and physical healing igniting perfect intuition needed for successful living. According to Swar Yog, the right side of the body has solar dominance while the left side has lunar dominance. When one breathes from a particular nostril, one is capable of absorbing certain type of psychic and Tattvic energies from the outer universe. Also, depending on the nostril one is breathing through different types of energies are generated within the body. All the mental and psychic faculties are greatly affected by the nasal dominance. A seasoned Swar Yogi uses his/her persistent state of awareness to use these Tattvic cycles for the benefit of self and others. Swar Vigyaan is the science of creating all round success in life. Our lives are the sum-total of all the choices and decisions we made till now. We could change our lives only if we knew how to choose the best among the choices available. One must keep in mind that Swar Yog is the highest practice in the domain of breath-sciences. Although the principles of this science had been available freely but true knowledge of Swar Vigyaan had been limited to the circles of Masters only as it requires rigorous discipline and dedication from the practitioner to achieve perfection in the subject. A SwarYogi needs to be extremely disciplined and free from all negative influences. In a nutshell, barring few the practices of Swara Vigyaan are easy to learn but mastering them may require lifetime of efforts – Of course a living Master is mandatory who will decide how much to give you, depending on your capacity*. Swar Yoga Basic Workshop is a good beginning for anyone who is willing to explore this fantastic science. Swar Yog is a knowledge and practice based 6 Hr workshop by none other than Ma Shakti Devpriya ji for beginners that introduces you to the working principles of Swar Yog. You are given the ‘easy-to-do’ practices to quickly see the benefits of it. Along with you are given many secret tips which can be used in daily life. These practices and techniques help in harmonizing activities with the universal energies thereby bringing success and good fortune. There is a residential program for learning advanced techniques of Swar Yog. After you have genuinely practiced and implemented the learnings of basic module for minimum of 6-8 months you will surely be enthused to learn more about this science. Those practitioners who have given their energies to the learnings can request for the Higher Learnings in Swar Yoga. The purified and balanced Ida-Pingla channels are the prerequisite for being able to experience and learn the Swar Yog therefore those who have attended ‘Nadi-Shodhan Workshop’ and practised that discipline for minimum of 60 days are best suited for this workshop. It in the interest of participants to not insist joining this workshop on Swara Yoga without having experienced the Nadi-Shodhan cleansing symptoms. Rest assured when you have acquired basic NadiShuddhi you shall be able to not only appreciate the subject but also make the most of it. 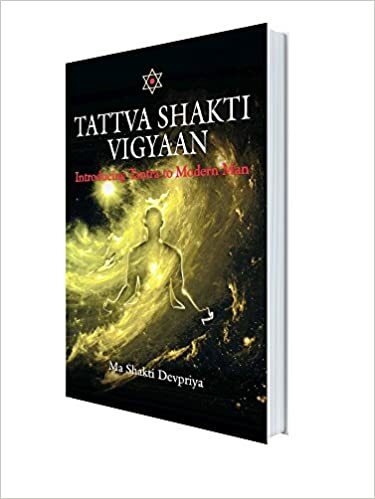 *Note – Few Swar Vigyaan practices have always been closely guarded, primarily because they deal with very subtle energies of the body and cosmos. Such techniques allow the practitioner to take complete control of anyone’s mind and being but if done wrongly, in any manner they may not only harm the practitioner but completely derail one’s spiritual development. It is therefore advised to every practitioner that he/she should engage ONLY in the specified practices.